Thank you! What a grace memory is and how nice to have these pictures to remember. feature members of the family and their lives. Could happen! 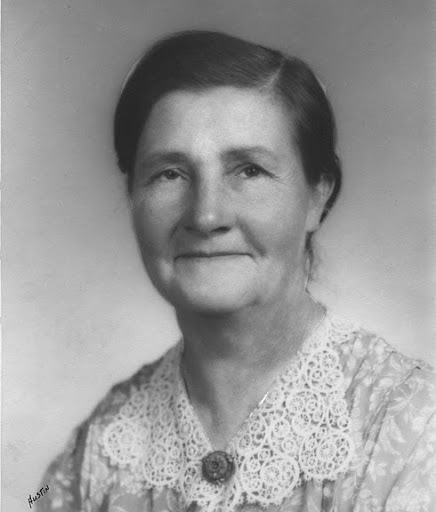 This Website about the history of the Smith Family is dedicated to my beloved grandmother: Gertrude “Gertie” May Bennett Smith (1885 – 1981). Grandma Gertie Smith is pictured above top in all three photographs. It was her entertaining tales about our family, told while picking corn or piling wood, that inspired me to begin collecting and writing down family stories. A great big thanks goes to Aunt Addie Smith Wold (1907 – 1981), who helped me gather together much of the original family research. And again thanks to Aunt Addie for taping Grandma’s invaluable interview on December 12, 1974 when grandma was 90 years old. Grandma’s recorded interview has been the basis for much of the research and structure of this report. And thanks to my father, Elmer Bennett Smith, passed at 97 years of age, who has been only a phone call away to answer my many questions as this report took shape. And to my cousin – Beverly Caton Pinelli – who has assisted in locating long lost details while working on her computer. Bev has filled in many missing blanks. There are at least eight, perhaps more, direct descendants of Eli and Elizabeth Campbell Smith and Joseph and Julia Ann Tuttle Wamsley and Eli and Julia Ann Tuttle Wamsley Smith, but because of deaths and remarriages, most of the following report traces out only the stories of the Roy and Elias Smith branches of the Smith family. This is mostly due to the availability of family information and descendents to interview. Elias and Ida Delair Smith had six children; One daughter and five sons. Three of their children died early on. Clyde Elias Smith (1889 – 1963). Leroy “Roy” Martin Smith, Elias’s brother, and Harriet “Hattie” Hill Smith produced 10 children: four girls and six boys. The two older boys died early. Everett Louis Smith (1887 – 1894) of cancer of the ear. Both boys are buried with their grandmother, Julia Smith (1827-1886) in Idaho. 1. Eva Emerald Smith, b. February 15, 1906, Alberta Canada, d. September 12, 1956, Kalispell, Montana. Did not marry. No children. 2. Addie Winifred Smith, b. October 15, 1907, Spokane, Washington, d. October 2, 1981 in Los Angeles, California. 4. Fern Dilena Smith, b. July 1, 1910, Little Bear Ridge, Idaho, d. December, 1981, while living with her daughter, Anna, in Columbia Falls, Montana. 5. Elmer Bennett Smith, b. January 4, 1913, Big Bear Ridge, Idaho, d. December 15, 2010 at age 97, Longview, WA. 6. Myrtle Alice Smith, b. March 22, 1916, Onaway, Idaho, d. March 23, 1916. 7. Violet Luella Smith, b. August 13, 1917. Montana, on her grandpa Smith’s homestead, Dawson County, later divided homestead, then in Garfield County. 8. Harland Chester Smith, b. April 28, 1920, Kalispell, Montana. d. June 13, 1992, Livermore, California. 12. Ramona Adele Smith, b. August 13, 1928, Los Angles, California, d. January 11, 2002, Spokane, Washington. Members of the Eli Smith family have lived in Pennsylvania, Ohio, Indiana, Kansas, Nebraska, Idaho, Canada, Montana, (sometimes moving away and then returning), Arizona, Washington State, New York, southern California and eventually Southern Oregon. Eli Smith and his mother, Mary, were both born inPennsylvania. Eli Smith and his family are listed in the 1840Miami County,Ohio census. Little is know about Eli Smith himself. We have records of him living in Ohio, Indiana and eventually moving toKansas; working mostly as a farmer. He apparently owned very little because his name is rarely listed as paying property taxes. Eli was married twice. Elias Washington Smith, born in Indiana in 1853, was the issue of Eli’s second marriage. 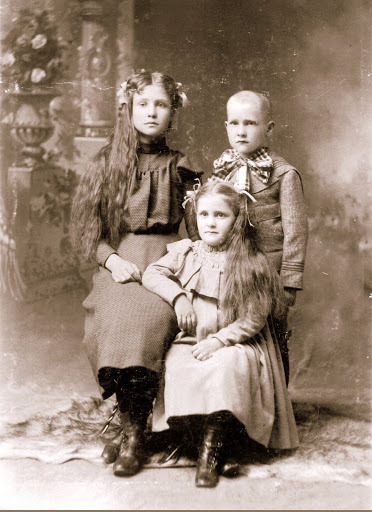 Various members of the Smith family left Kansas between the 1860s and the 1880s and for the next 130 years the Smiths lived in Nebraska, Idaho, Alberta, Washington State, Montana, California, Arizona, and Oregon. Chester Oscar, Gertrude May, & Winifred Grace Bennett’s mother: Ida Cora Call Bennett, born June 18, 1866. Died November 25, 1898 at age 32. Probably of a bad heart, and only 11 days after a son was still-born on November 14, 1898. The birth and death of her fourth child most certainly had a direct bearing on Ida’s death. From daughter Gertrude: I well remember being there at the funeral in 1898. Bitterly cold. The ground was frozen and how there was no snow. The funeral procession…. The funeral was held at the house. The funeral procession moved slowly over what was “rocky” road because it was frozen. I remember the date of her death because the 24th was Thanksgiving. She died the night before Thanksgiving. (Her death was quite sudden and unexpected wasn’t it?) Yes, it was a heart attack and she ate dinner with us that night, that evening. She died about 2 hours later. 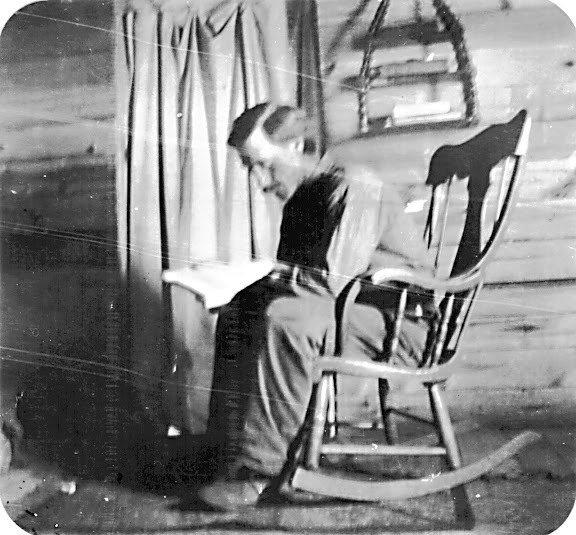 Elmer b. January 20, 1860. Died April 22, 1912 in Ellensburg, WA. 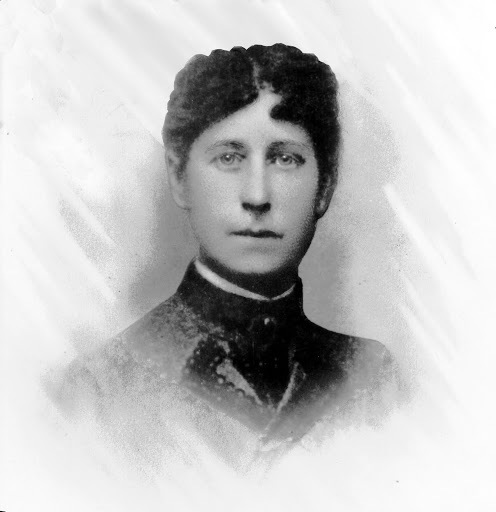 Wed to Ida Cora Call, born June 18, 1866 in New York. Died November 23, 1898 in Ada, MN 9 days after the birth of her son, who also died. 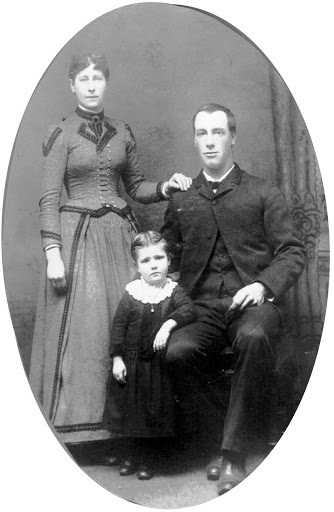 Ida’s parents were William Call and Julia Jackson, sister of Luci Jackson. Married in Ada, MN in 1883. Gertrude Bennett – age two or three. Born November 8, 1885 in Ada, MN. died February 4, 1981 at age 95 in Los Angeles. In 1972 Gertrude Bennet Smith said: After Mother’s funeral, Father’s Aunt Addie, who lived about 8 miles from us, came and helped Father get things straightened out. Mother’s things were taken care of. I heard them talking about getting some woman to come and stay with us and I told Aunt Addie that I did not want someone to come, I wanted to keep house for them. I knew how Mama used to do it, but I found out the hard way knowing how she did it and doing it were two different things. But Father, bless his heart, let me do it. He never complained. Photo taken about 1900 in Ada, Minnesota. An unnamed son was still-born, November 14, 1898. Their mother, Ida, died 9 days later. Gertrude, age 12, dropped out of school to take care of her two younger siblings. 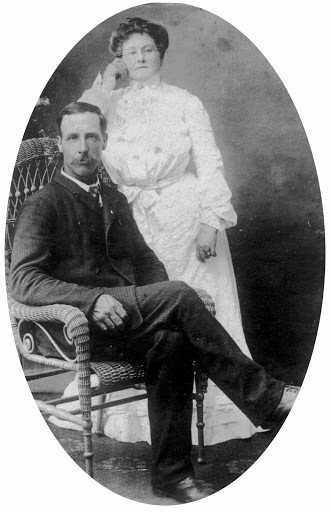 Elmer Cortis Bennett and his second wife, Dora DeLair Patterson. Elmer and Dora married October 1904 in Alberta, Canada. She insisted that her three step children (Chester, Gertrude, & Winnie) call her “Aunt Dora”. Dora did actually become Gertrude’s aunt by marriage when Gertrude married Aaron Smith because Dora DeLair Patterson Bennett was Aaron’s mother’s sister. (Ida DeLair Smith. There were two Ida’s in the family which can be a bit confusing.) Gertrude Bennett and Aaron Victor Smith were also married in Alberta, Canada a year later in 1905. 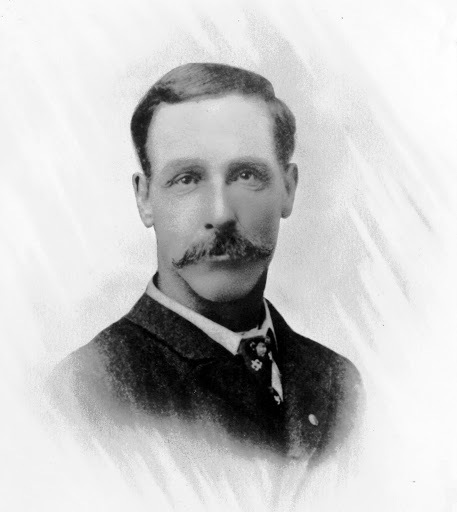 Elmer Cortis Bennett, probably taken shortly before his death in 1912 at age 52 in Ellensburg, WA from cancer. Gertrude Bennett Smith – 1972: with all of his troubles I never heard Father complain or wonder why. He kept his faith through it all. Not long ago I heard a minister, Jerry Faldwell, say that you don’t judge a man by what he had done, but by what it took to break him. I thought of Father. I remember when Father died in 1912 and he was in Washington and I was in Idaho. My stepmother wrote that while he was lying there with cancer he sang “Abide In Me”.